I really like Moris and I'm happy that they allowed him in at the last minute. Welcome to Skate Canada, an international senior-level competition held in different Canadian cities every year. 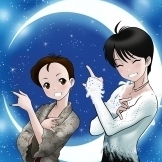 The story of Skate Canada International goes back to 1973, and it was added to Grand Prix events in 1995, the year the series began. This year’s Skate Canada will be held at Evraz Place in Regina, Saskatchewan. His technical arsenal includes 4T and 4T2T combination, Keegan is also a fast spinner and has got good flow and tremendous speed on the ice, but he’s been inconsistent in landing his jumps, which hampered his career. A Canadian skater, 2016 Junior World silver medallist and the 2015 Canadian junior champion. He has been coached by Yvan Desjardins since 2011. He names Kurt Browning and Shawn Sawyer among his skating idols. Nicolas was born on September 30th, 1997 and started to skate in 2003. Nicolas is an energetic and fun skater with admirable skating skills, but he has been dogged with injuries last year. He still managed to come fourth in the 2017 Canadian Championship, where he became the first Canadian man to land 4Lo. This year, Nicolas has been competing with only 4T and 3A, but let’s see whether he’ll be able to bring some other quads into the play. His personal best accumulative score is 224.76 achieved at the 2016 Junior Championship, his best SP score is 79.54 at the Junior GP event in Croatia, his best FS score is 150.86 at the 2016 Junior Championship. A South Korean skater, 2016-2017 Junior Grand Prix bronze medallist, 2017 National Champion, 2012 and 2013 Junior South Korea champion. Currently coached by Brian Orser. His former coach was Shin Hea-Sook. Jun Hwan was born on October 21st, 2001, and started skating at the age of seven. He’s also been a child actor, idol and a ballet dancer. He moved to Toronto Cricket Club to train with Brian Orser in the spring of 2016. Jun Hwan is an incredibly musical and expressive skater with his own distinctive style at this young age and with beautiful skating skills. Last year, he looked as if he were a top contender for the junior world title, but his sudden growth spurt and injuries somewhat slowed that fast progress. We hope that this year he will have overcome his issues. He’s landed 4S and 3A successfully, and is said to be learning 4T and 4Lo – we hope to see these this season. His SP is What a Wonderful World, his FP is the Planets by Gustav Holst. Both programs were choreographed by David Wilson. An Australian skater, five-time Australian National champion. Bronze medallist of the two Challenger Series competitions this season –the 2017 Lombardia Trophy and the 2017 Ondrej Nepela Trophy. Last year, he finished 15th at the World Championship in Helsenki and won a qualification for Australia at the Olympic Games in Pyongchang. Currently coached by Tammy Gambill, his previous coaches were Galina Pachin, Monica MacDonald (his mother), Kylie Fennel. Brendan is fine and accomplished skater who has shown admirable perseverance in developing his skills and art and steadily climbing up the ranks of skaters, which is very special for a nation not known as a major power in figure skating. His repertoire of technical elements include 4S and 4T. His personal best overall score is 236.24, his best SP score is 83.11, his best FS score is 153.13, all of them set at the 2017 World Championship. A Japanese skater, the 2014 Four Continents champion, 2014 Skate Canada champion, and 2012 Trophée Éric Bompard champion. Nationally, he is a four-time Japan Championships bronze medallist and 2008 Japan Junior champion. Takahito Mura was born on February 11th, 1991 and comes from a figure skating family: his father and coach Takashi Mura competed internationally and his mother also was a figure skater. Takahito is a beautiful skater with flair for unusually colourful and sometimes dubious clothing, and he has been working hard to keep up with the incredible progress in men’s skating we’ve been seeing these couple of years. Last season, his plans were curtailed by injuries and mishaps, so he didn’t make it into the Japanese Team for the Four Continents Championship and World Championship. This season, he’s undoubtedly fired by competition and a desire to make it to Pyongchang. His personal best overall score is 268.43, his best SP score is 89.08, and his best FS score is 179.35, all achieved at the 2016 Four Continents Championship. His FP is Human by Jamie Hartman, Rory Graham, Stand by Me by Ben E. King, Jerry Leiber, Mike Stoller and Human (MJ Cole Remix) choreographed by Benoit Richaud. A French Skater, two times International Cup of Nice winner, 2016 French National champion. Currently coached by Stanick Jeannette, his former coaches were Annick Dumont, Claude Péri-Thévenard, Francoise Bonnard, Veronique Cartau-Treille. He was born on October 11th, 1989, and started skating quite late, at almost 13. For such a late starter, he’s achieved quite a lot by joining the elite skating rank and getting to skate to GP events. His personal best overall score is 239.39, his best SP score is 81.93, his best FS score is 157.46, all of them set the 2017 World Team Trophy. His FP is Godfather choreographed by Benoit Richaud. A Belgian skater, two-time Belgian National champion, winner of several international medals, including the 2017 Nebelhorn Trophy gold medal and the Cup of Nice silver medal. He represented Belgium at the Olympic Games in Sochi and came 16th. Jorik is coached by Carine Herrygers. He started skating at the age of five, and has had to face quite a few difficulties with injuries and his rink being closed, but he persevered nonetheless and came triumphant at the qualifying event for the Olympic Games in Pyongchang and will doubtlessly be going there. His SP is Je Suis Malade, his FP is Concerto of Aranjuez, both choreographed by Adam Solya. A Russian skater, 2017 Junior World Championship bronze medallist, 2016-2017 Junior Grand Prix silver medallist, 2017 Russian Championship silver medallist. 2015 CS Warsaw Cup gold medallist. Currently coached my Svetlana Sokolovskaya, his former coaches were Elena Buyanova, Inna Goncharenko and Lubov Fedorchenko. Alexander was born on June 15th, 1998 and started skating in 2002. An ambitious skater eager to make his presence known, Alexander has done his best to acquire as many quads as possible, though many find fault with the way he jumps them. This season, he’s making his first full debut in the senior field and this is the first major outing among some really formidable competitors for him. Let’s wish him luck! His personal best overall score is 245.53, his best SP score is 82.23 and his best FP score is 163.30, all of them set at the 2017 Junior World Championship. Jason also studies at university and plays the piano. A Canadian skater, the 2014 Sochi Olympic Games silver medallist in men’s and team event, a three-time World champion (2011, 2012, 2013), a two-time Grand Prix Final champion (2010 and 2011), a three-time Four Continents champion (2009, 2012 and 2016), a nine-time Canadian National champion. Patrick Lewis Wai-Kuan Chan was born on December 31st, 1990. He started skating at the age of five. He originally wanted to become a hockey skater, but took up skating skills and soon figure skating consumed him. 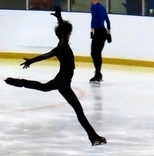 He spent innumerable hours on basic stroking and edge work, which made his skating skills truly unsurpassable and make any program of his stand out. He’s also catching up on the technical gap between him and the youngsters like Nathan Chen and Shoma Uno: last year he included a new quad, 4S, into his repertoire, this year, he might go for 4F. Though now he has announced he’s cutting out 4S out of his programs, we might hope he’ll bring them back for major competitions. His personal best overall score is 295.27 at the 2013 Trophee Bombard, his best SP score is 102.13 at the 2017 World Championship and his best FP score is 203.99 at the Four Continents Championship. His SP is Dust In The Wind, his FP is Hallelujah by Leonard Cohen choreographed by David Wilson. A Japanese skater, 2017 World Championship silver medallist, 2017 4 Continents Championship bronze medallist, two-time Grand Prix Final bronze medallist, 2016-2017 Japanese National Champion, 2015 Junior World Champion and 2014-2015 Junior Grand Prix Final champion. Coached by Machika Yamada and Mihoko Higuchi. Shoma was born on December 17th, 1997 and started to skate at five thanks to Mao Asada. His skating idol is Daisuke Takahashi. Shoma has got gorgeous skating skills and incredible flow across the ice, but his jumping technique has been the subject of heated discussions all over the figure skating world about the amount of prerotation in them and the suspect landings. Nonetheless, he’s been adding loads of new quads over these two seasons and has landed four quads at competitions – 4T, 4F, 4Lo and 4S. He’s also got wonderful musicality and interpretation abilities, and has rightly been seen as the top contender for any competition. His best overall score is 319.84, his best SP score is 104.87 and his best FP score is 214.97, all of them set at the 2017 Lombardia Trophy. His SP is Vivaldi’s Winter, and in his FP he revisits his Turandot program of the season of 2015-2016. Both programs were choreographed by Mihoko Higuchi. And in a turn of events (which I welcome) Jason now has a pretty good shot at GPF! Considering the mess that is the fight for the spots in the USA this can only be good for him. Even if Chiddy does not WD (and more on that in a bit), he should be able to snag the bronze there, if not the silver again which is enough. Really good news for him. The quad situation remains though. He only URed it this time around but of course went down. I don't know. He needs that quad. As for Chiddy, I cannot really decide. He seemed deflated to me, and WDing from NHK could only potentially increase that. The men's field is insanity right now, he needs to stay in the game. Of course, if it is health, then it is a no brainer but it doesn't seem that way to me. More of a general drop. It's possible that Patrick is feeling down because he's coming to terms with the reality that his chances for winning that elusive OGM are probably nil at this point. Going against Yuzu and Javi is one thing; going against those two plus Uno and Chen and Jin has to be his worst nightmare. Based on what he said in interviews when he resumed competing after taking a year off, he did not anticipate that his competition would be this tough. And his continued coaching issues can't have helped him either. Patrick's struggles came out of left field for me. I thought he ended last season on a pretty good note. Patrick seems to have run out of will to compete, the fire in him is quenched. I agree. His fire is gone...I hope it will reignite. Olympics are 3 months away... now is when he should be looking at his team mates, V/M and Osmond and D/R... they are all fired up and more so than ever before... i hope they can serve as inspiration. The team is strong and they need him... Olympic gold is still a possibility and i hope he gets his mental ducks in a row soon because regrets are a pain in the [email protected]# and the chance won't come again. Yeah, same for me. It's weird, I was never his biggest fan but the thought of him "giving up" like that really bothers me. I hope he'll get back on track and show some fighting spirit again soon. It would be such a shame for his last season to just sort of fizzle out because he lost confidence. I think last season he still felt he had a shot; this season and the scores coming in, and how partially, must be a big blow. And to be blunt, because though I appreciate Patrick on many levels, he did benefit from some of the inflation for quite a while. I have to wonder how much the shoe on the other foot shall we say is bothering him! Overall I hope he can find that spark in himself, and go out in style. It'd be a darn shame otherwise as he has had a great career. Welcome to the third Grand Prix event – the Cup of China, which will be held at the Capital Gymnasium in Beijing on November 3-5. The Cup of China joined the series in 2003, replacing the event in Germany, and it’s curious that the series has only once had a repeat winner in Jeremy Abbott who won the gold medal in 2008 and 2011. Let’s see whether Javier Fernandez can become the second man to do that or whether he’ll be beaten by Boyang Jin – these are the two hot favourites for the competition. Let’s start by introducing the competitors according to their ranking from bottom to top.